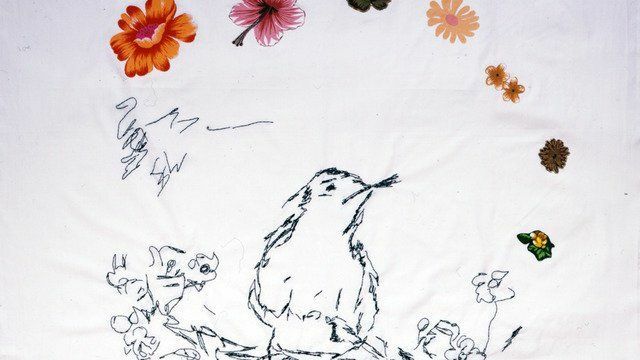 Tracey Emin (1963, Croydon, UK) is associated with the YBA (Young British Artist) generation and often uses events from her own life as a starting point for her art. Her work can be romantic, humorous, tragic, angry, hard-hitting and hopeful and is often animated by playful wit. Working across a range of media, her body of work includes painting, drawing, sculpture, video, installation and needlework. 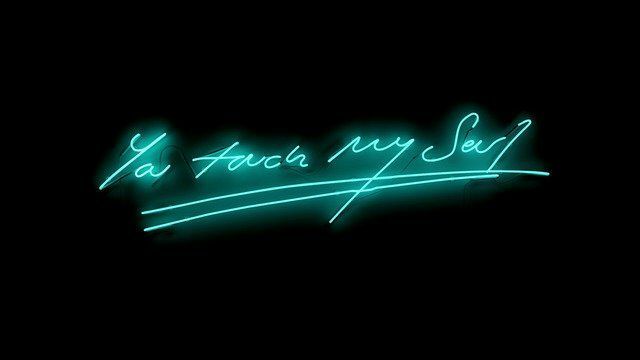 Sometimes confrontational and often provocative, Emin’s work can have an immediate and visceral impact on the viewer. By re-appropriating ‘womanly’ crafts and exploring issues that are both personal and political Emin continues to build upon the legacy of feminist art. For example Everyone I’ve Ever Slept With, one of the artist’s delicately-created blankets, used the process of appliqué to embroider the names of lovers, friends and family within a small blue tent. The viewer was required to enter the tent in order to fully engage with the piece, becoming enveloped by the installation. Emin’s paintings, monoprints and drawings explore the idea of self-representation and were partly inspired by the work of fin de siècle artists from Berlin and Vienna including Edvard Munch and Egon Schiele. After leaving school at 13, Emin studied printmaking at Maidstone College of Art and received a master’s degree in painting from the Royal College of Art, London, in 1989. Her work has been exhibited internationally with solo and group exhibitions in Holland, Germany, Switzerland, Spain, Japan, Australia, the United States, the United Kingdom and Chile. 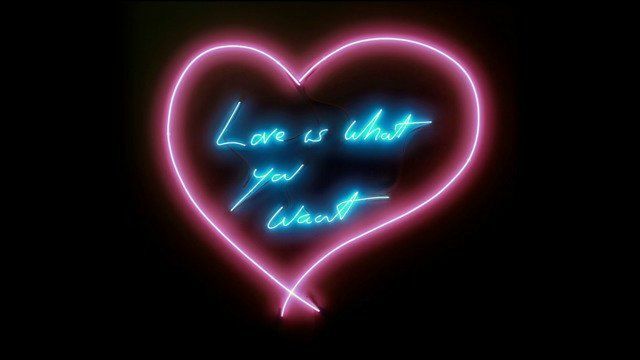 In 2011 the Hayward Gallery presented a major survey of the artist’s work entitled Tracey Emin: Love is What you Want. 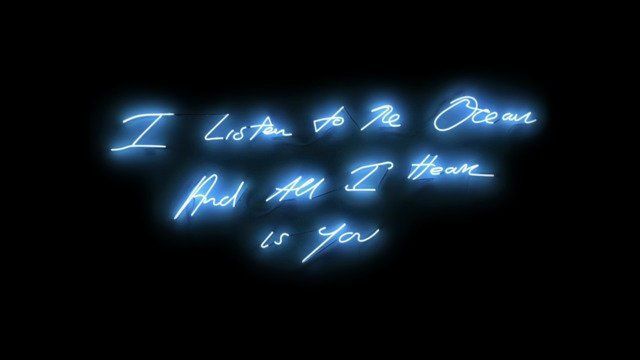 In 2008 Emin’s first major retrospective was exhibited at the Scottish National Gallery of Modern Art, subsequently touring to Malaga in 2008 and Bern in 2009. 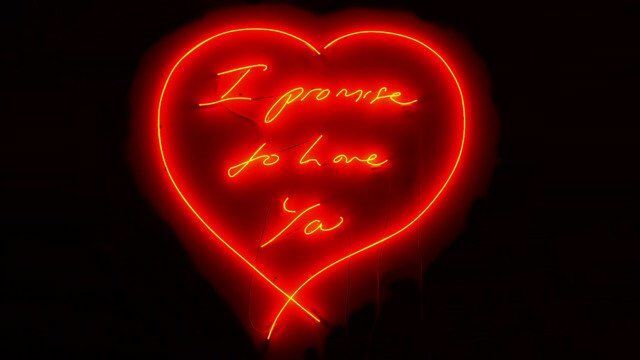 In 2007 Emin represented Britain at the 52nd Venice Biennale, was made a Royal Academician and was awarded an Honorary Doctorate from the Royal College of Art, London, a Doctor of Letters from the University of Kent and Doctor of Philosophy from London Metropolitan University. Recent solo shows include How It Feels, MALBA, Buenos Aires, 2013; and You Don't Believe In Love But I Believe In You, White Cube, Sao Paolo, 2013.